Like the Buddha image, angels evoke for me a spiritual essence of wholeness and connection to a greater field of knowledge and guidance. I am even comforted by the mere hope that one can on occasion tap into this vast dimension of clarity. Have you ever experienced one of those fleeting glimpses of pure knowing? It manifests as a sort of vision or flash where in that moment, there is absolute nirvana. It is combined with the sureness that ALL IS WELL. The message is completely uncluttered by ego, issues and other debris that would normally block such communication. 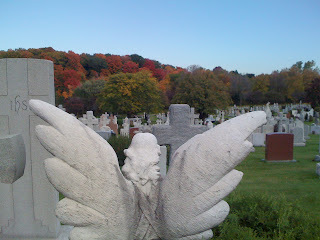 Many look to the presence of angels to inspire, clarify or simply guide us and our thoughts to be more centred in LOVE. Namaste dear ones.